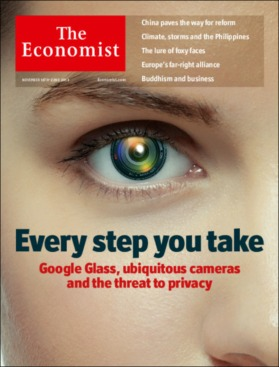 A few weeks ago, the Economist featured a cover story on ubiquitous cameras and the recorded world; they called it ‘Every Step You Take’. Adapted from the lyrics of the 80s hit by the Police, it was a title dripping with irony – but highlighting a very serious matter: the death of privacy. It’s a much discussed theme, and I’m sure you’re Economist.com familiar with the cataclys- mic predictions and scornful tutting – but I don’t think weve ever realized how far it’s gone – how privacy is already nearly gone, anyway. This can be eluci- dated with a number of instances – a few of which made news this week; and this loss of privacy is not always in that “spying on you” kind of sense – sometimes we give up our privacy willingly. 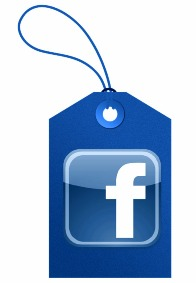 Take Face- book as your simplest and most obvious example – in real life, would you tell random friends of friends, and even strangers at times, where you are at that exact moment, what you’re doing, what you’re feeling, what clothes you’re wearing? It’s a willing sacrifice of all kinds of privacy, and we’ve simply incorporated it into our lifestyle. Tagging on fb is the best example, you get clicked and tagged very often without even wanting to-very often with your consent ,you don’t even know who’s getting a look at you (even with Permissions) and who’s learning so, so much about you. And this isn’t some anti-Facebook rant, all social media have made us sacrifice our privacy in some way or the other – BBM, Whatsapp, Twitter, Instagram. We upload videos of ourselves on Youtube and Vines, and let people we don’t even know see them. However, the loss of privacy isn’t only to do with social media – it’s so, so much more. Ubiquitous, or wearable, cameras, and cameras of all other kinds – have infiltrated into everyday existence without us even noticing. The Google Glass (Issue 17) is only the beginning of a revolution in cameras that will become an extension of our existence, and intrude into the privacy of others without their knowledge. There are of course many advantages of Glass and other ubiquitous or inconsequential cameras – in our article about Glass we explored all these benefits, and the benefits of security cameras, cameras on cars (for accidents), cameras worn by or near elderly people (for healthcare and medicine) and cameras worn by police officers, soldiers, etc. are obvious; but what they are going to do to privacy is equally obvious. 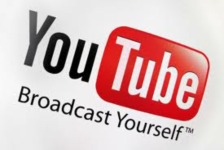 What about the media’s drones – that will follow celebrities and anyone of interest anywhere? Or face-recognition technology in Google Glass? These really scare, don’t they? There is a company called Narrative – which made news last week as one of the biggest “crowd funded” companies (funded by normal people like you and me) – but that’s not the bit we’re focusing on. No, their business model revolves around life-logging. Take, for example, Cathal Gurrin, computer scientist at Dublin city University, one of the first life loggers – for the past 7 years he has been recording his life with the help of a wide-angle camera hung around his neck, which takes several pictures of his field of view every minute and stores them. With this he has built up an archive of 12m pictures that tell the story of the past 7 years of his life. The belief of Narrative and people like Gurrin is that every moment is impor- tant, and we don’t want to forget a single moment – this will help us remember and relive every moment of life. Whether you believe or not, the impact of lifelogging on privacy will not be good. The last, and most talked about, piece in this gradual loss of privacy is, of course, snooping and the NSA. The revelations of ex-NSA employee Edward Snowden have made us aware of the National Security Agency’s Prism program: they spy on everyone. More than that it’s shown us that in this digital age – nothing can be hidden – they have our telephone conversations, our passwords, our social media activity, our searches, our location ,our tweets – and it’s not just them. We are learning of more and more governments spying on everyone, and if the governments can do it – others will be able to soon. Everyone will be able to spy on everyone, and nothing will be hidden. We are truly witnessing the death of privacy….with and without our permission.